Wendy Parmley, author of Hope after Suicide: One Woman’s Journey from Darkness to Light, and suicide survivor of 40 years, learned firsthand the heartache, despair, and loneliness that accompanies losing a loved one to suicide. Twelve-year-old Wendy’s mom took her life when just 31 years old, leaving behind her husband of thirteen years and their five young children. Wendy has long advocated for suicide prevention and volunteers with Hope4Utah and The American Foundation for Suicide Prevention (AFSP). Wendy also recognizes the need to unashamedly support those who must continue to live in the painful aftermath of a loved one’s suicide and passionately lends her voice to that cause. 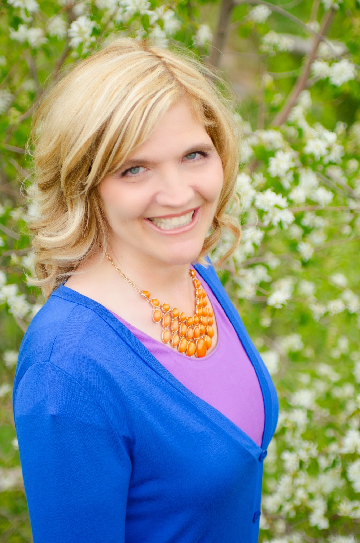 Wendy was a favorite speaker at the 2014 Salt Lake City National Alliance on Mental Illness (NAMI) annual conference, the Chainbreaker Foundation, and at Weber State University’s 2015 Out of the Darkness suicide prevention walk. Wendy’s heart-felt story leaves the audience filled with an abundance of love, understanding, and hope as she shares her own journey from heartbreak to hope and, finally, to healing. Hope after Suicide has been endorsed by Hope4Utah’s executive director, Dr. Gregory Hudnall. It is also listed on AFSP’s list of resources and has received a positive review from the American Association of Suicidology. 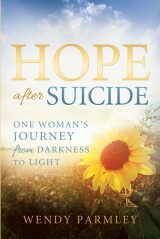 Hope after Suicide was named a finalist in Foreword Reviews’ INDIEFAB 2014 Book of the Year Award. Wendy was invited to represent her work as a panelist at the 2015 Virginia Festival of the Book. Prior to a bicycle accident and traumatic brain injury, Wendy worked in nursing leadership for 14 years, earning her nursing degree from Utah Valley University in 1991. Wendy graduated with her MBA from Brigham Young University in 2007 and was honored to be the convocation speaker. Wendy and her husband, Mark, have three sons and daughters-in-law, one daughter, and two beautiful grandchildren who fill her life with sunshine.